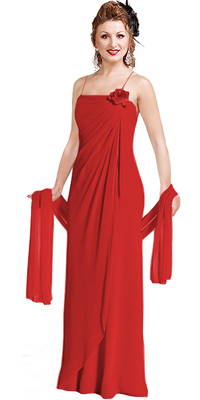 A classy evening gown which features noodle straps has amazing overlap layers, good enough to take your breath away. This dress is designed using chiffon fabric and is accentuated with floral accents. If you wish to create an impression and turn heads then this is the dress that should be there in your wardrobe.